Monday: Start by introducing the rhyme. Notice the text, font and title. Talk about comprehension. What is this nursery rhyme about? Ask the students if they like to play in the rain, and if so what can you do in the rain? Ask students what they can do inside on a rainy day. Chart responses. Show students the different forms of the nursery rhyme that you have collected and discuss likes and differences. You may be able to find the versions shown below in your local or school library. Create a Venn Diagram about the different forms of the nursery rhyme. Tuesday: Notice the new vocabulary, Spain. Ask if anyone knows what “Spain” is. Provide a world map and globe. Discuss countries. Show Spain and place a star on Europe. Chart and write a description of Spain. Note the rhyming words and where they are in the sentence. Have students circle the rhyming words, highlight with highlighting tape or outline them with Wikki sticks. Wednesday: Reread the nursery rhyme. Chart the words, away, day, and play on one chart, and Spain and again on another chart. Discuss the reasons that they belong on different charts (they have different endings). Thursday: Reread the nursery rhyme. Discuss word families. Brainstorm and chart all of the words in the -ay family (day, play, say, tray, May, way, away, ray and so on). Brainstorm and chart all of the words in the -ain family (rain, Spain, train, again, drain and so on). 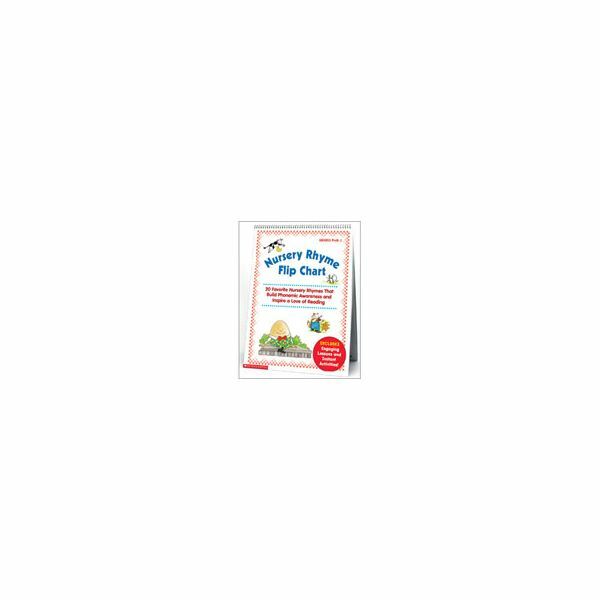 Send a copy of the nursery rhyme home for students to share with families. 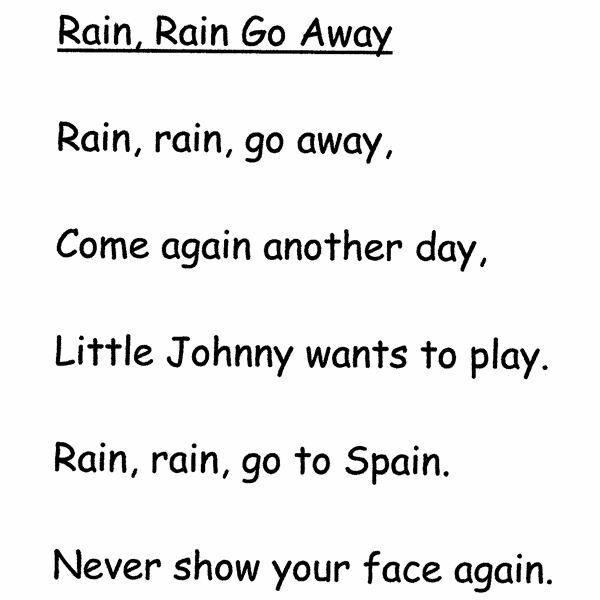 Give parents an idea of what you would like to do with this nursery rhyme. Students can read it for enjoyment, rewrite it with their own name in it for writing practice (Little ________ wants to play), write or draw about what they like to do on rainy days. You can find an overview of using nursery rhymes here.